Tokyo, Japan - April 18, 2017: People crossing the road in shibuya. 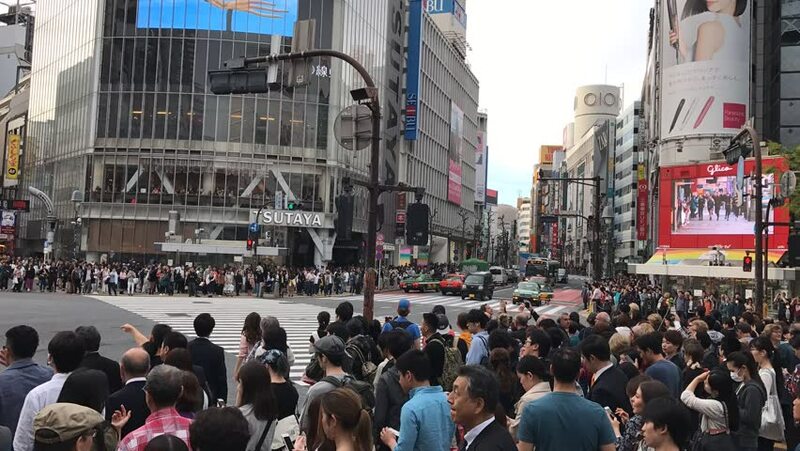 The famous scramble crosswalk also known as shibuya scramble is used by over 2.5 million people on daily basis. time lapse style. hd00:13NEW YORK - DECEMBER 31: People anxiously wait to to enter Times Square before the Ball drops on New Years Eve December 31, 2013 in New York City. hd00:31LONDON-CIRCA 2014: People at Oxford Circus underground station / Street, London, UK. People in and out subway station, crossing the street, buses, cars & taxis. hd00:32NEW YORK, NY/USA - OCTOBER 7, 2014: Pedestrians cross the crosswalk at West 34th Street and 7th Ave in Manhattan, New York City. HD with natural sound. hd00:20TORONTO/ONTARIO CANADA - 2015 APRIL 20:People having great time in 420 rally in Toronto,Canada.